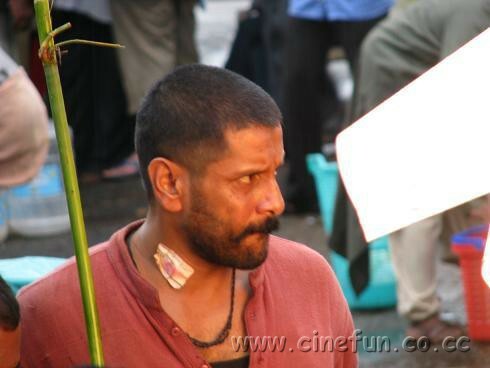 Home » Latest Buzz » Chiyaan Vikram: The modern Raavan! Chiyaan Vikram: The modern Raavan! Chiyaan Vikram - The modern Raavan! Here comes exciting news for all Chiyaan Vikram fans eagerly waiting for the releases of their favorite actor's bilingual Raavan, which officially marks the Bollywood debut of their hero. Vikram will makes his debut alongside Aishwarya Rai Bachchan in the three versions (Hindi, Tamil and Telugu – dubbed) of Raavan, directed by Mani Ratnam. “Yes, it was quite an experience. I’m a good fighter, but not quite the dancer. I’ve always felt that Madhuri Dixit was the best dancer ever. But then, I saw how Aishwarya held her own in Devdas. I thought it was fantastic. So, while shooting for Raavan, I just forgot my own steps and kept staring,” the actor said to a leading English daily.